Go Technologies was originally formed to develop and supply telematics solutions to the transport industry and fleet owners. These real-time vehicle and asset tracking solutions have been designed for ease of use and can provide considerable efficiencies to operators of both small and large fleets. 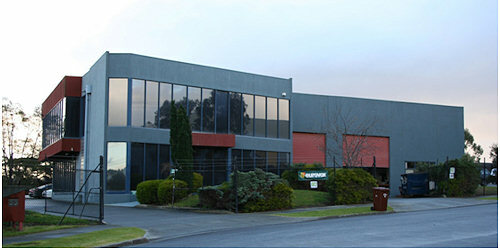 When Eurovox ceased trading Go Technologies seized a unique opportunity and acquired the rights to the Eurovox name, products and spare parts. The integration of the Eurovox brand in to Go Technologies and the complimentary product solutions will ensure an even greater product offering to existing and new customers. Since that time Go Technologies has partnered with some of the world's leading automotive technology and electronics manufacturers to broaden the product range to provide a wide array of solutions for all customers. These companies include: E-Lead, PressurePro, Lectronix. Experience in all areas of design, sourcing and supply of quality electronic products for the automotive industry. Engineering and Design – agreements with manufacturers across the world ensure the latest technologies are utilised in Eurovox equipment. Servicing of electronic product – the Service and Support Department at Go Technologies is equipped to handle all types of electronic repairs. We also repair many other makes and models of electronic products other than the brands we sell. Automotive quality systems – the management and staff of Go Technologies are experienced in many areas of automotive quality systems. These include QS9000 and TS16949. We are working towards ISO9001 certification currently. Manufacturing and Logistics – with manufacturing agreements with many companies in Asia and the USA as well as experience in local manufacturing, Go Technologies is well equipped to look after all procurement and manufacturing needs. Vehicle development process – the industry leading Go Technologies vehicle development team (ex Eurovox) pioneered and perfected the process of rapid kit development for vehicle manufacturers and importers. Fully customisable Bill of Materials for final kit supply – every detail is considered, right down to the very last screw. This ensures the installation will be right first time. Customised and unique solutions – as all solutions are designed for the specific vehicle and customer requirements this covers all aspects of the design, including colour matching and customer branding. Rapid development times – working closely together vehicle development and engineering resources both local and overseas combine to provide a rapid development cycle to vehicle development processes and also new product developments.